MOSCOW (Sputnik), Tommy Yang - For Russia and China to push bilateral economic cooperation beyond the typical scope of energy projects, both nations need to improve their understanding of the real business environment on the other side, experts told Sputnik. Russian President Vladimir Putin is expected to kick off an official visit to China on Friday and take part in the Shanghai Cooperation Organization summit to be held in the Chinese coastal city of Qingdao on June 9-10. This will be the first meeting between Putin and Chinese President Xi Jinping after their reelections as heads of states earlier this year, respectively. In addition to geopolitical alignment on international issues such as the nuclear crisis on the Korean peninsula, economic cooperation projects have always topped the agenda of the meetings between Putin and Xi. Several major energy projects, such as the Power of Siberia Gas Pipeline that is expected to supply Russian gas to China, were finalized after official meetings between the two leaders. Russian Deputy Prime Minister Yury Trutnev said on Wednesday that Putin and Xi are expected to discuss the issue of developing Primorye-1 and Primorye-2 international transport corridors, which can offer Northeast China access to the sea through Russian ports such as Vladivostok. However, for Russia and China to expand the scope of economic cooperation and move beyond the traditional field of energy projects, both sides need to improve their mutual understanding of the real business environment in both nations and eradicate some serious misconceptions about one another, political analysts suggested. "The first question we have to push forward is to improve mutual understanding. 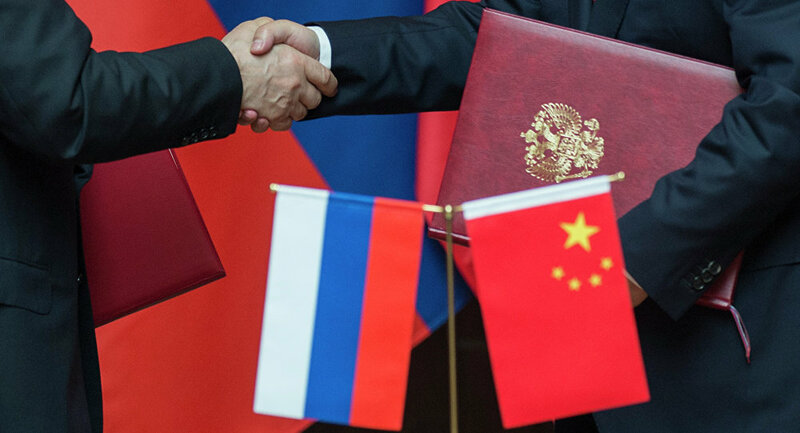 Russian businesses have a lot of illusion about ‘Chinese friendship,’ as they tend to convert the political declarations to the business level. They hope China is also very friendly when it comes to doing business. But in reality, it’s not," Alexei Maslov, head of the School for Oriental Studies at the Russian Higher School of Economics University in Moscow, told Sputnik. The situation is very similar when it comes to the knowledge of market conditions in Russia among Chinese businesses, the expert explained. "When I read different posts in the Chinese language every day, there always have been illusions about the Russian market. For example, in those posts, they talk about total corruption in the Russian Far East and it’s dangerous to invest any kind of money that would be stolen by the Russian banks. But those are just the rage of rumors. The problem is that they know nothing about the business environment in Russia," he said. The Moscow-based scholar proposed both sides to improve mutual understanding by offering a wider range of information to businesses. "For example, Russia can start offering some business courses for small-and-medium-enterprises to help them improve their knowledge about the Chinese market. [For lack of knowledge on Russian market conditions among Chinese businesses], this is the mistake of Russia. That’s because many Russian websites are not accessible in the Chinese territory due to general restrictions on the internet in China. When Chinese try to find some information about Russia, they rely on Chinese resources such as Baidu or WeChat. That means they’re only finding Chinese information about Russia, not the Russian information about Russia. For example, a lot of the information about the development of the Russian Far East has not been translated into Chinese. And most Chinese businesses have trouble reading efficiently in English or Russian," he said. During Xi’s official visit to Moscow last July, Russian oil giant Rosneft reached a strategic cooperation agreement with China CEFC Energy Company Limited, paving the way for the proposed acquisition of 14.16 percent of Rosneft’s stake by the Chinese company. However, after CEFC’s founder and chairman Ye Jianming reportedly came under investigation from Chinese authorities earlier this year, the proposed sale of Rosneft shares to China’s CEFC fell through in early May. The failed deal between Rosneft and CEFC, despite the endorsement from governments in both countries, could cast a shadow on mutual trust between Russia and China, political analysts suggested. "This [failed deal] would definitely have an impact on mutual trust between the two nations. China and Russia have been negotiating on various oil deals for over ten years. The key has always been pricing. And this is not the first time changes occurred when the deal looked to have been complete. As trade partners, such changes would definitely not improve mutual trust. If both sides want to expand energy cooperation, it’s difficult to move forward with this kind of attitude," Yang Shu, director of Central Asia Institute under Lanzhou University and deputy director of Sino-Russia Relations History Research Institute, told Sputnik. Less than two weeks after the failed deal between Rosneft and CEFC, the Russian oil giant, working with Vietnam, started drilling in an offshore gas field in disputed waters in the South China Sea, drawing criticism from the Chinese Foreign Ministry which urged both the Russian company and Vietnam to respect China’s sovereignty. Kremlin spokesman Dmitry Peskov said Rosneft did not consult with the Kremlin concerning drilling in the area disputed between Vietnam and China. Professor Yang, the Chinese expert, explained that major deals endorsed by governments could collapse because the companies involved have different priorities from authorities. "For such deals that are endorsed by governments on both sides, the negotiation between governments usually focuses more on the general terms of national interests. But for companies involved in those deals, they have to take care of themselves, especially on details of the deals. Even for big state-owned companies, they also need to focus on the company’s interests. Maybe that’s what went wrong with the deal between those two oil companies," he said. However, Professor Maslov from the Russian Higher School of Economics University believes it is possible for Rosneft to reach a new deal with a different Chinese company in the future. "It’s possible for Russia to find some other Chinese companies to make a new deal because energy cooperation is the point for Chinese political cooperation with Russia and China is not interested in investing in other fields such as manufacturing. Oil and gas is the only area China is ready to cooperate," he said. Amid warm bilateral ties between Russia and China, often dubbed as "the best period in history," a gap continues to exist in expectations from economic cooperation between the two countries, professor Maslov argued. "What Russia wants? Russia wants investment from China, especially in manufacturing, building new enterprises and constructing new infrastructure such as railroads. But in this perspective, such projects are not as interesting for China, because it already has strong domestic manufacturing capabilities. China is only interested in oil and gas exploration. This could lead to misleading expectations from both sides," he said. The Russian scholar argued that it was only fair if China can also allow improved access to its domestic market for Russian companies. "China has to understand that this is a two-way road. It means that China also has to open its domestic market for Russian companies, not just as a declaration, but special preferences [for Russian companies] in taxation to open the market for Russian goods, such as agricultural products. So far, the Chinese market is still closed to Russian enterprises," he said. According to official figures from the Chinese Customs, imports of Russian energy products reached $27.3 billion in 2017, accounting for about 66.3 percent of China’s total imports of $41.2 billion from in the same year. The views and opinions expressed by the analysts do not necessarily reflect those of Sputnik.